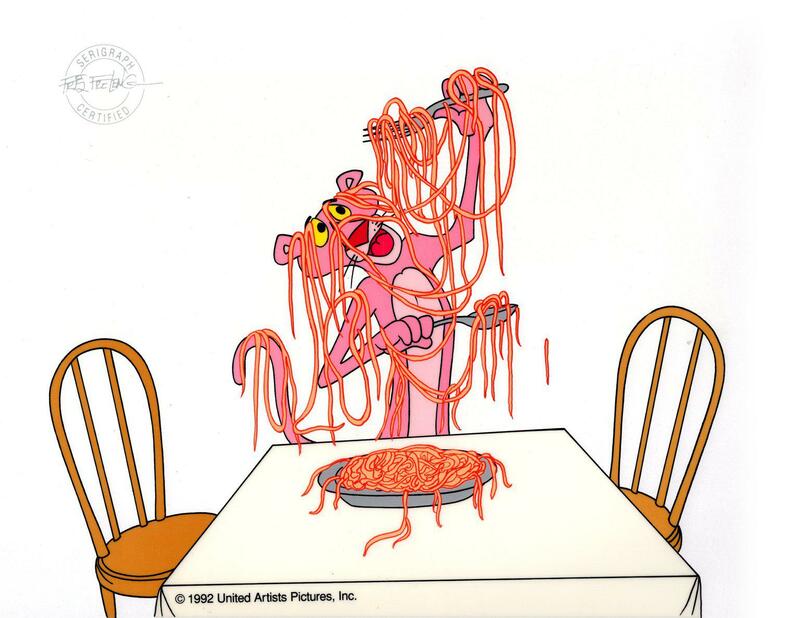 Disney's "Pink Panther Eating Spaghetti" Sericel. Approx. Measurements are 12" x 9.5".